Set apart from deviation, coming to you from the United Kingdom, is the “top-dog” pick allowing a complete and an incredible line of defense in a more commonly known and frequently utilised device called a flash drive. However, this improved version might just be the most innovative and guaranteed to protect your data by any means necessary. Not only is the recent endeavor an avenue to hopefully offer competition a run for their money as to the fact that nothing is anywhere close to this company’s impeccable standards and encryption processes. Not only is the datAshur Personal²USB 3.0, no trouble to operate, but it’s also quite a bargain being affordably priced. 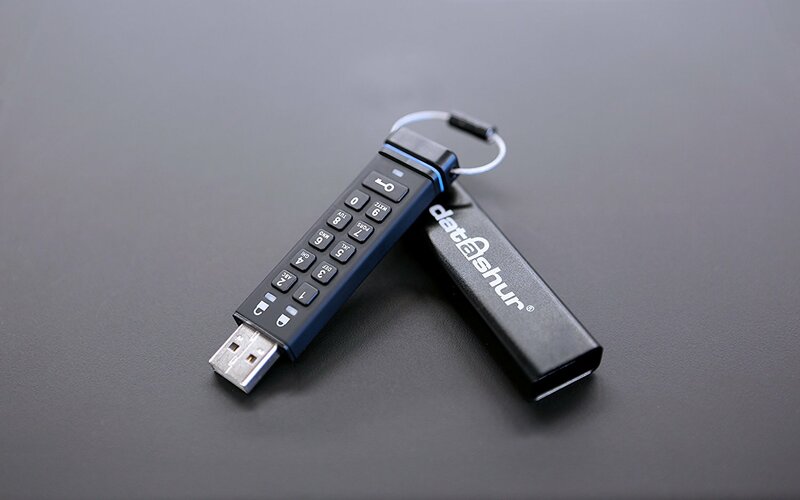 The impeccable datAshur Personal² 2 USB 3.0, provides its users with elite encryption hardware that is at a caliber to that of military (AES 256- bit, to be exact.) A beneficial pin code is required to engage this special drive. This provides the customers with a “safety net” in way of a 7-15 digit pin code upon the on panel keypad. This secures the device by protecting the drive from being allowed to connect to the USB port. Astonishingly, total data moved over to the datAshur Personal² is encrypted as sure fire as it is immediate. This is the benefit of the deep-seated implemented encryption mechanism. This higher form of protection remains even if the drive is lost or stolen, access to you datAshur personal 2 will remain denied and your info safe-guarded from unauthorized users. Just as quickly as you disconnect from your computer or even in the event of power disconnect from a Ian port. This “Rube Goldberg invention” will lock without pause. There is even an available option to super-impose a pre-set timer to automatically lock this device. It works for the simplest of needs one is trying to meet, from securing prized documents to encryption via drag and drop make this most advantageous usage capabilities with all software. This flash drive conveys all of this in a premium, albeit affordable value. Configuration is completely versatile with options such as admin and independent users secure pin codes. Ideal implementation standards suitable for government or even corporate fields. And what’s more? Let’s say that the user loses their password. The admin pin is fully capable of recovering to the user’s data, by erasing the lost user pin and that allows for the creation of a brand-new user pin. The datAshur even employs a drive reset which all in all removes every ounce of data and both the user and the admin pin codes. Detour even takes your protection one step further, creating a haphazardly encrypted key and thus negating a reusable driver. Offering up expansive capabilities and generating an immeasurable quantity of random keys, so as you need it, or seen it necessary, you, (the user), can perform drive resets with ease. With an on-panel keypad, the datAshur is ahead of the game, with game changer qualities such as not requiring a standard keyboard to enter the pin, there is no need to warrant concern to any key loggers whatsoever. 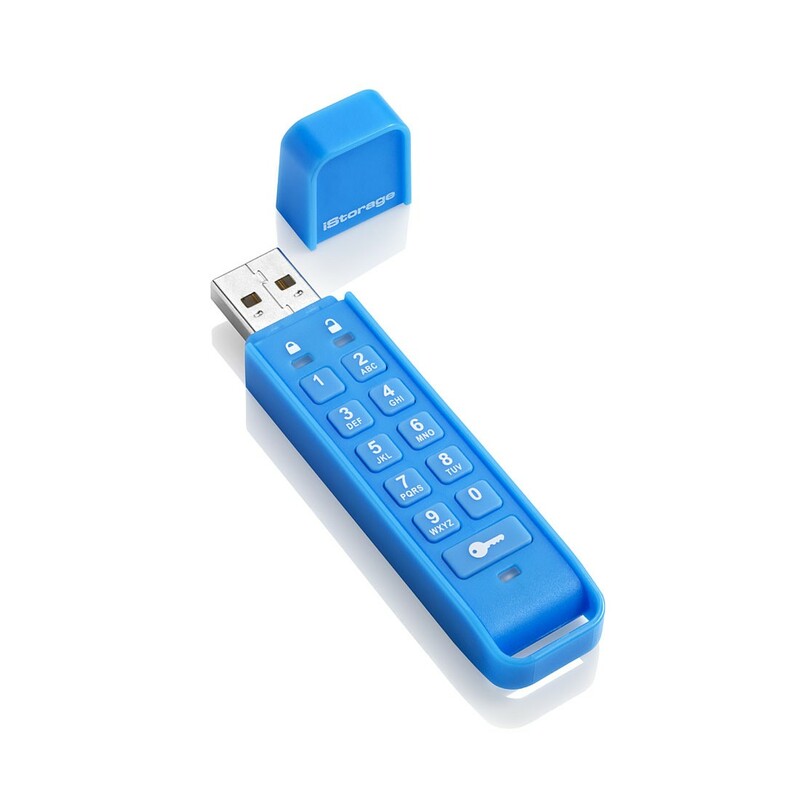 This USB flash stick protects your data cleverly. When there are 10 incorrect attempts to unlock your device, the safety net will serve its purpose and put stock in its value. Whether it’s blocked by the user, in which case the admin can only access the files, or if the admin ALSO receives 10 invalid attempts, then absolutely everything will disappear from the device forever. Making it dead and gone, quite wisely in terms of previous data. After this protection feature initiates its own “Brute-force hack defensive plan: The factory default datAshur requisite is to reformat, therefore attaining the properties to reuse. This is such an awesome USB flash drive. There is not a flash drive like this, bar-none in the United States. The exceptional value is even more so outweighed by its amazing capabilities. That in itself is a win-win. This is the most technologically advanced USB flash stick I have in recent years set my sights upon. As a tech-savvy enthusiast, I can say that the protection features and the updated design, are perfected and well thought out. This device is an investment worth taking.